This bicentennial recognizes the 200th anniversary of the founding of the Missionary Society of the Methodist Episcopal Church, a forerunner to The United Methodist Church. 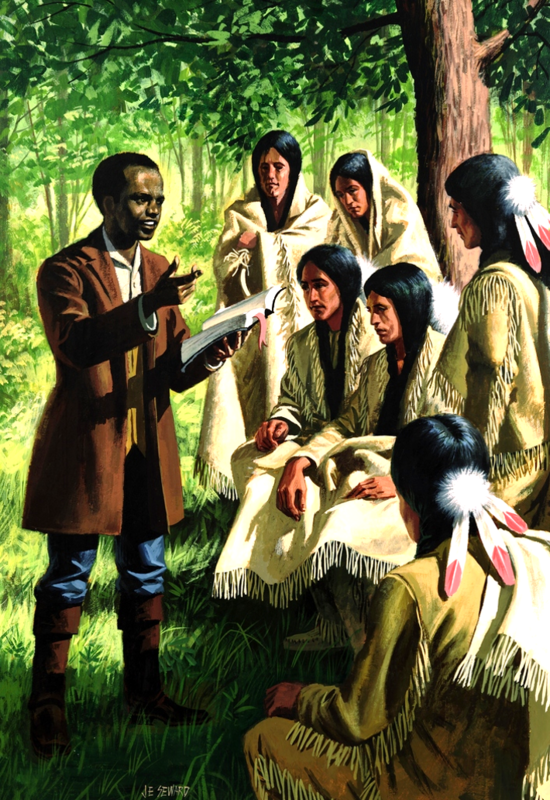 On April 5, 1819, the Missionary Society was formed in New York City in response to the mission work of John Stewart, a freeborn African-American, among the Wyandotte Native American people in Ohio. The General Board of Global Ministries is the present-day successor to the Missionary Society. Global Ministries includes UMCOR (the United Methodist Committee on Relief), which was formed in 1940. Creation of the Missionary Society was affirmed by the 1820 General Conference of the Methodist Episcopal Church as the first denomination-wide mission society for Methodists in the United States. Accordingly, the upcoming United Methodist General Conference in 2020 will mark the 200th anniversary of that action in 1820. At the same time John Stewart was beginning his work among the Wyandotte people, Methodists in Great Britain were building on initial mission work in Ireland, the Caribbean, Canada, Sri Lanka, and Sierra Leone. Local societies formed in the early years of the 19th Century to support mission. At its 1818 Conference meeting, the British Methodist Conference brought these initial societies together to form the Wesleyan Methodist Mission Society. A half century later in 1869, women in the Methodist Episcopal Church joined together to form the Woman’s Foreign Missionary Society, becoming one of the most significant women’s denominational mission societies globally and the forerunner to today’s United Methodist Women, celebrating 150 years in mission in 2019. Together, these mission societies have been the main organizational vehicles for Methodists engaged in mission around the world. This history includes active participation in mission by Methodists from Africa, Asia, Europe, Latin America and the Caribbean, and North America. Mission has changed in the last 200 years, but Methodists remain a people deeply committed to mission. The bicentennial recognizes the accomplishments and changes over the past 200 years while celebrating the present and future of Methodist mission, including how mission unifies all Methodists for God’s redemptive work in the world.